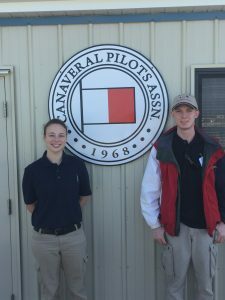 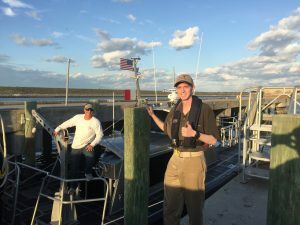 The Canaveral Pilots Association had two cadet/midshipmen from the United States Merchant Marine Academy complete internships this March. 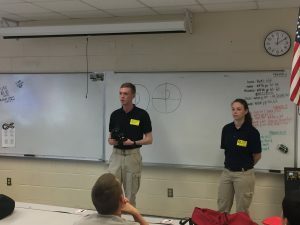 During the internships, the cadets were exposed to the operations and business management of the association. 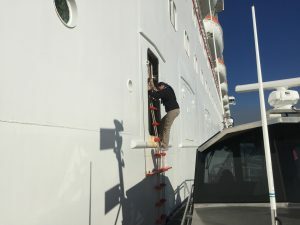 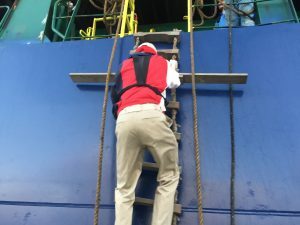 The students accompanied pilots on inbound and outbound transits of cruise ships and cargo vessels calling at the port, learned operation and maintenance of the pilot boats, and learned the business management aspects of the organization, including communications, decision-making, and strategic planning. 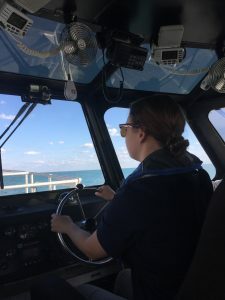 The cadets spent some time with the Canaveral Port Authority Harbormasters and participated in Propeller Club of Port Canaveral activities which highlighted pilot relationships and interactions with other port stakeholders. 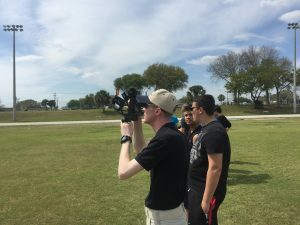 As part of these activities they participated with the Rockledge High School Maritime Studies program students on a field trip to the port and they taught a class for the students on the use of sextants. 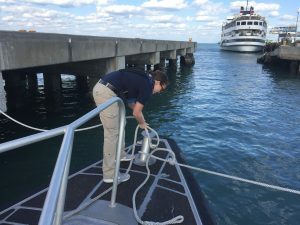 Great job to our two cadet interns and thank you to the Harbormasters!